Nurses bring extraordinary knowledge, experience, and expertise to patient care, and will help you and your child through your treatment, as an inpatient or outpatient. Treatments for pediatric cancers include surgery, chemotherapy, and radiation therapy, as well as newer techniques such as interventional radiology and immunotherapy. Learn more about cancer treatment and what you and your child can expect as a Memorial Sloan Kettering patient. Discover how we care for children undergoing a bone marrow transplant, also known as a stem cell transplant, at Memorial Sloan Kettering. At Memorial Sloan Kettering, our unparalleled expertise in pediatric surgery allows us to treat many young patients whose cancers are considered inoperable by other specialists. Our experts — including the tristate area’s only dedicated pediatric radiation oncologist — have treated more children than at any other hospital in the country. 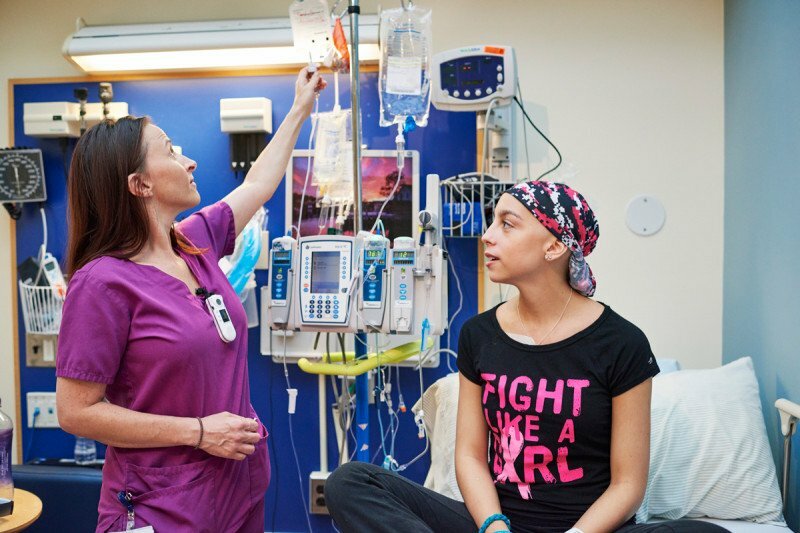 Learn about our approach to chemotherapy for young people.